Cherry Mobile Omega 3 comes with a bucket-full of great features at Php 5499! It boasts a 5.5-inch full HD LCD, 2GB, 13MP and more! Check it out here! 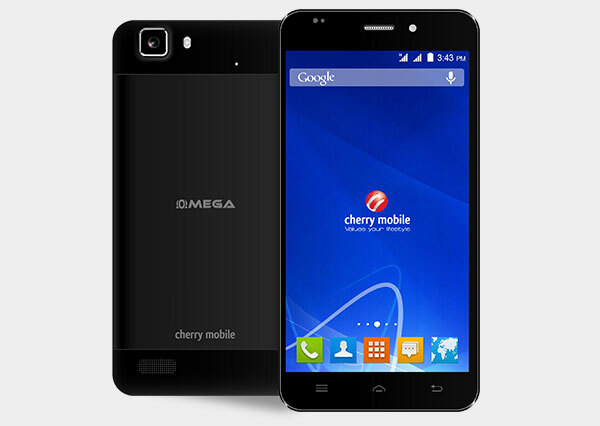 The Cherry Mobile Omega 3 is the current refresh to the popular series of the local manufacturer. It basically crosses the phablet category with its 5.5-inch full HD LCD. Likewise, the handset comes with 1080 x 1920 pixel resolution that frames 401 ppi of pixel density. To add more excitement to the table, the device comes with a capable octa-core processor, 2GB of RAM and 13MP primary shooter. The said feature set inches closer to the upper midrange market, and what’s even more surprising is the fact that the Cherry Mobile Omega 3 only has a Php 5499 asking price. Looking into its internals, the Cherry Mobile Omega 3 comes with a MediaTek MT6592M chipset that includes eight cores of Cortex A7 CPU clocked at 1.4GHz speed. Likewise, it also boasts the Mali-450 MP4 GPU and 2GB of RAM for faster app launching and smooth multitasking. Across the board, this iteration to the Omega series comes with a 16GB internal storage sans the microSD card slot. The 13-megapixel rear camera is also one of the deal makers of the handset. It packs an autofocus sensor with BSI technology and LED flash. The front panel also houses the 5-megapixel front shooter which is quite enough for all your social media selfies. In terms of battery, the Cherry Mobile 3 chokes a bit. The handset only features a 2100 mAh non-removable battery. Knowing the fact that it churns a full HD panel, the juice will technically drain in a short amount of time. The Cherry Mobile Omega 3 connects to the internet with Wi-Fi and 3G connectivity. It also comes with Bluetooth 2.1 and USB on-the-go. Interested? You can check out the rest of the specs below.